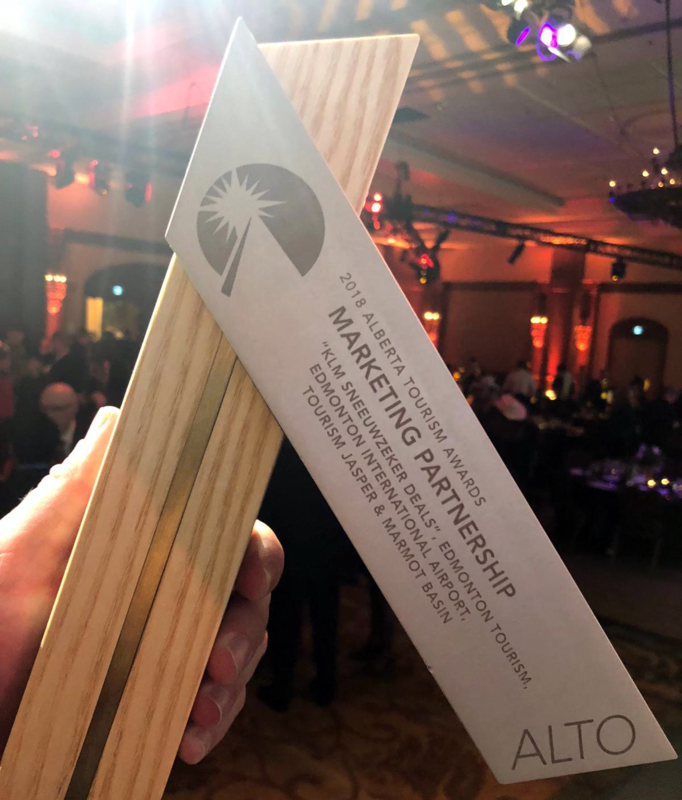 Good news arrived this morning at our office in Amsterdam: yesterday, the Alto Awards Gala took place in Banff National Park, Alberta and our created, developed and executed 2017/2018 “Sneeuwzeker Deals” campaign won the award for “Marketing Partnership Excellence”. Zapper PR worked together in this project in great collaboration with KLM, Edmonton International Airport, Edmonton Tourism, Tourism Jasper, Travel Alberta, Marmot Basin, Sundog Tours and Amsterdam Schiphol. 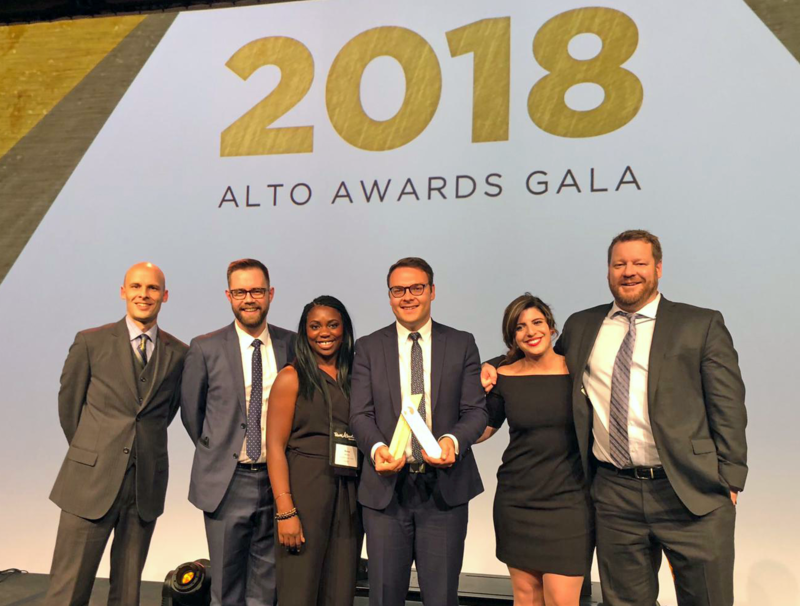 Alto Awards is shorten for “Alberta Tourism Awards” and is meant to recognize individuals and organizations committed to enriching Alberta’s tourism industry and inspiring others by demonstrating what can be achieved by working together. We are truly honored to be part of the team that won this award. Last year, Zapper PR & Destination Marketing was hired as an agency to achieve one goal together with the above mentioned partners: support the direct KLM Amsterdam to Edmonton flight through the winter months. A ground-breaking partnership was formed to tackle the challenge. Zapper PR initiated the platform “Sneeuwzeker Deals” on which travel packages of tour operators were combined to give a push to the sales performance of both the KLM flight to Edmonton and the destinations Edmonton and Jasper, with it’s unique location within the Rocky Mountains and sublime powder snow. We like to thank everybody who was a part of last year’s journey for their efforts and participation in this exciting project. Together we succeeded and this is now also awarded by an award handed out by the destination itself. We make this year’s campaign even better! And everybody else that made this campaign to the success it was and is!